That’s the name of the novel I’ve been trying to get published for two or three years…and counting. I’m haven’t kept track of how many years took me to finish it. Or how many drafts it went through. But now, it’s closer to what I was aiming for than anything I’ve written before. The title is obscure but the picture isn’t. It’s Leonardo da Vinci’s drawing of man proportions circled and squared. A sequel, “The Vitruvian Woman” requires several rewrites, which I intend to begin soon. 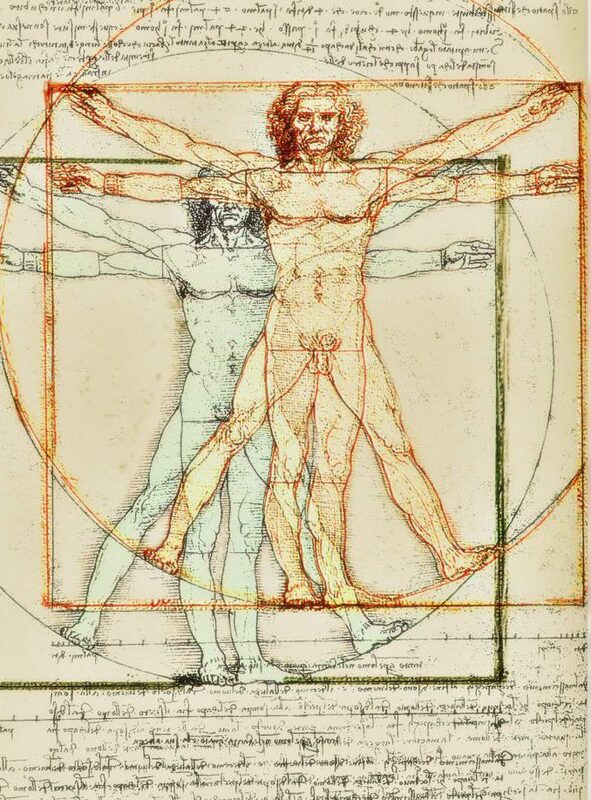 Leonard’s Vitruvian Man is named for the Roman architect and first century Roman, Vitruvius, who inspired the famous drawing. Vitruvius built structures in proportion to nature, and humans in particular. His work led to Leonardo’s illustration of a man standing within a circle and square, which demonstrate a shifting centered of magnitude while the center of gravity remains stable. This and Leonardo’s other works show the the world, including the human body, as sharing the same proportions as the universe. He believed all truth could be discovered in nature. The character in my novel, Walter Mitchell, is, because of circumstance, considered a math prodigy. At nineteen-year-old, in 1999, he begins working for Lehman Brothers as a “quant,” who devises the highly theoretical derivative bank structures that through reckless trading caused the Recession of 2008. While Walter found Leonardo da Vinci fascinating before that, he knows mathematical formulas that present unperceivable theorums are risky and subject to change. When his wife and daughter leave him, balance and proportion become critical as he begins caring for his daughter’s seriously neglected friend next door.